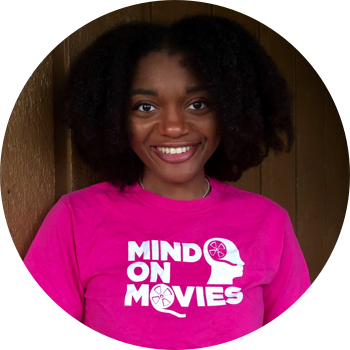 Read Ashley B's review of Us. Set in present day along the iconic Northern California coastline, Us, from Monkeypaw Productions, stars Oscar® winner Lupita Nyong'o as Adelaide Wilson, a woman returning to her beachside childhood home with her husband, Gabe (Black Panther's Winston Duke), and their two children (Shahadi Wright Joseph, Evan Alex) for an idyllic summer getaway. 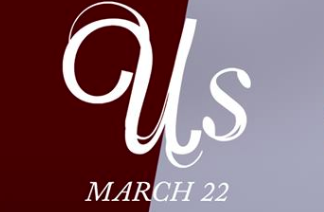 Us is the much anticipated second film from director Jordan Peele. With the large success of Get Out, can he once again bring something fresh to the social thriller genre? Unlike Peele’s first movie, Us has a more known cast which helped to build the anxiousness surrounding the film. As expected Lupita Nyong’o delivered and showed just how extensive her range as an actress is. Winston Duke (M’Baku in Black Panter) also delivered well with his role the father of the family. The new faces, especially the kids, were just as good with their parts helping to tell the story and I hope to see all of them in more movies in the near future. The plot in comparison to the cast did not live up to expectation. It was more suspense than horror despite Peele’s tweet stating Us is a horror movie. The beginning and middle had enough of a scare factor to keep viewers’ interest however the end was a let down because it answered questions while leaving behind just as many questions that it answered. 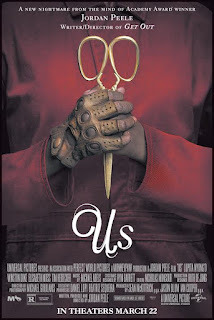 True to Jordan Peele’s first movie, Us had several layers to it including deeper meanings to seemingly surface elements. It was difficult to decipher what was part of the deeper meaning versus being flat out bizarre. Also depending on your scare level you might find yourself laughing during the movie more than being afraid. This was not a bad thing but it was also hard to view the movie as horror instead of a suspenseful thriller. Even with a solid cast, Us was a bit of a letdown. It would be interesting to see Peele explain more of the movie and what he wanted people to take away from it especially since it has multi-layers of meaning. It is definitely a watch more than one time type of movie to see what you may have missed the first time from its bumpy ending.